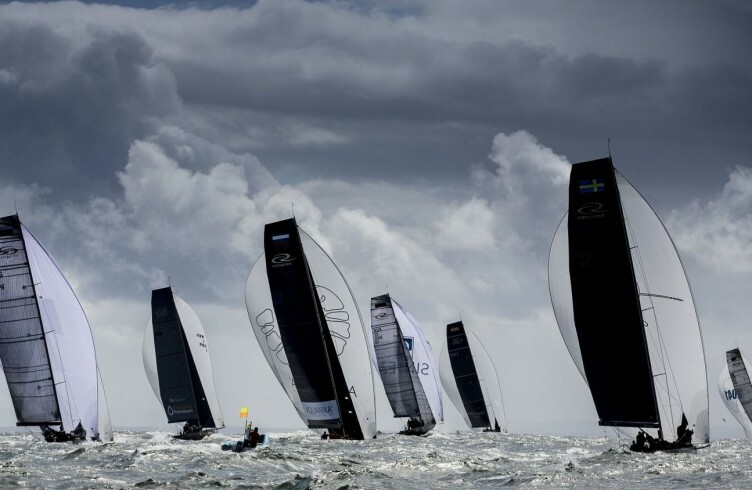 A worthy and popular winner was crowned today at the RC44 Cascais World Championship in Vladimir Prosikhin's Team Nika, following two final big wind, big wave races that made for a thrilling, albeit damp, conclusion to the regatta. will now be known as a global leader in ocean conservation"
From the U.S. to Chile to New Zealand, new marine sanctuaries are making a big splash around the world — and not a moment too soon. Here's a deeper look at a few of them. Earth is on the brink of a sea change. Its oceans are still mostly wild, without the obvious human footprint often seen on land, but they're also increasingly plagued by man-made dangers such as climate change, overfishing and plastic. Yet despite our inertia on many terrestrial issues like air pollution or deforestation, we're actually building some momentum for saving the seas. It's just a drop in the bucket so far, but the recent pace of ocean protection is promising nonetheless. The past few years have brought a surge of new marine sanctuaries, including sprawling reserves near New Caledonia and Hawaii that each cover about 500,000 square miles. The nations of Gabon, Kiribati and Palau have all made waves with huge new refuges off their coasts, and the U.K. recently approved a 322,000 square-mile reserve around the Pitcairn Islands. Conservationists are now working to string together an array of protected areas to create the 30,000-island Pacific Oceanscape. This week, the U.S. and Chile kicked off the second annual Our Oceans conference by announcing plans for several more marine sanctuaries of varying scales. That follows last month's move by New Zealand, which introduced an ocean reserve that's more than double the country's land mass. The largest of the new marine parks spans more than 243,000 square miles (630,000 square kilometers) around Easter Island, located about 2,300 miles off the coast of Chile. The area has been rife with illegal fishing lately, according to local anglers and environmental advocates, so a main goal of this preserve is to banish industrial trawlers while still allowing local, smaller-scale fishing near shore. Unveiled by Chilean President Michelle Bachelet this week at Our Oceans, the preserve will be the "third-largest fully protected area of ocean in the world," according to the Pew Charitable Trusts. Its waters are home to 142 native species, 27 of which are threatened or endangered. The park was proposed by Easter Island's indigenous Rapa Nui people, whose representatives reportedly clapped and sang after the announcement, although the plan is still pending their approval. "World famous for its Moai statues, Easter Island will now be known as a global leader in ocean conservation," says Pew vice president Joshua S. Reichert, who leads the nonprofit group's environmental work. "This announcement is an important step toward establishing the world's first generation of great parks in the sea." from the Pacific Ocean off the coast of Easter Island. 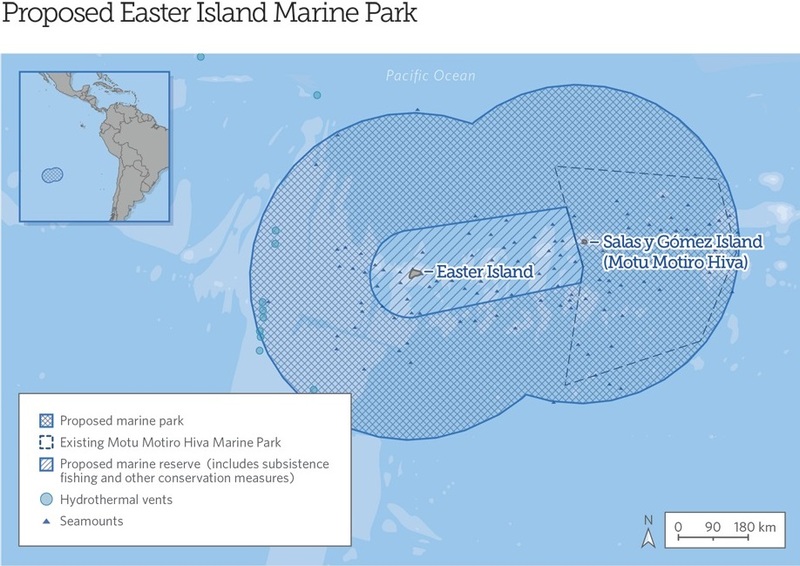 In addition to Easter Island, Bachelet also announced a marine reserve at the Islas de los Desventurados ("Unfortunate Islands"), located about 500 miles off Chile's coast. The volcanic islands are uninhabited by people, aside from one Chilean Navy unit, but they're an important habitat for seabirds. The two parks combined will cover more than 1 million square km (386,000 square miles), Chilean officials say. Mallows Bay from above (left) and Wisconsin's lakefront from below (right). The U.S. proposed two new parks on the conference's first day, although President Obama and Secretary of State John Kerry hinted at even bigger news in the offing. For now, they've floated a pair of preserves in Maryland and Wisconsin, which would be the first new U.S. marine sanctuaries in 15 years. They're not huge, and may bend the technical definition of "marine," but both are teeming with historic shipwrecks as well as wildlife. Both were also nominated by the American public, part of a policy shift meant to boost engagement with federal conservation efforts. In Wisconsin, the proposed sanctuary spans 875 square miles (2,266 square km) of the Lake Michigan coastline, an area that contains 39 known shipwrecks, including 15 listed on the National Register of Historic Places. Archival and archaeological evidence suggests the area may also hold undiscovered shipwrecks, according to the U.S. National Oceanic and Atmospheric Administration (NOAA), which notes the proposal "received tremendous support from the community." In Maryland, the Mallows Bay-Potomac River site covers 14 square miles of the tidal Potomac River, a valuable estuary located about 40 miles south of the nation's capital. Its shipwreck collection features nearly 200 vessels that range from the Revolutionary War to modern day, including the largest "ghost fleet" of wooden steamships built during World War I. It's also "a largely undeveloped landscape and waterscape identified as one of the most ecologically valuable in Maryland," NOAA points out, "as the ship remains provide important habitat for fish and wildlife, including rare, threatened and endangered species." At least one other publicly nominated sanctuary is still under review by NOAA, and as Kerry teased this week, "we also have plans in the works ... for still another significant one in the Atlantic." Obama repeated that hint, telling Our Oceans attendees that "in the coming months, I will look for even more opportunities to protect our waters." In the meantime, the U.S. also unveiled a new global initiative, called "Sea Scout," to help identify and prosecute illegal fishing around the world. "There is literally too much money chasing too few fish," Kerry told the conference. Many of the biggest marine parks created in recent years are in the South Pacific, but there's always room for more. 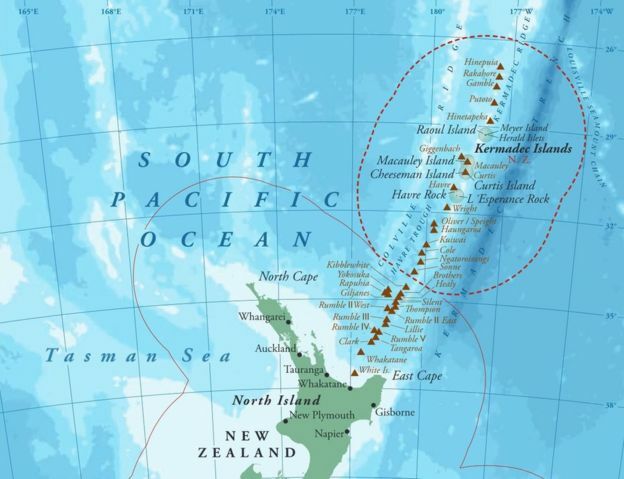 In late September, New Zealand Prime Minister John Key revealed plans to create one of the world's largest, stretching across 620,000 square km (240,000 square miles) around the Kermadec Islands. Located about 1,000 km (620 miles) northeast of New Zealand, the Kermadecs are considered a gem of biodiversity as well as geology. The island arc hosts several dozen varieties of whales and dolphins, 150 types of fish, and three of the planet's seven sea turtle species. It also includes the longest-known chain of underwater volcanoes and the second-deepest ocean trench on Earth. Covering an area twice the size of New Zealand's landmass, the sanctuary would reportedly ban all fishing as well as any oil, gas or mineral development. "The Kermadecs is a world-class, unspoiled marine environment and New Zealand is proud to protect it for future generations," Key told the U.N. general assembly in New York. "Creating protected areas will support not only our own fisheries, but those of our Pacific neighbours, adding to New Zealand's efforts to help grow Pacific economies through the responsible management of their ocean resources." It's worth noting that marine reserves can't save the oceans alone, especially from global threats like warming and acidification. Even their effectiveness varies from place to place, depending on the capabilities of local law enforcement. But when managed well, they can buffer key biodiversity hotspots, giving wildlife more space while replacing poachers with better-paying eco-tourists. And amazing vacations are just the tip of the iceberg. As many world leaders now realize, ocean health is an economic priority as well as an ecological one. "Our economies, our livelihoods and our food all depend on our oceans," Obama said in a video message this week, a theme echoed by Easter Island Mayor Pedro Edmunds Paoa. "The ocean is the basis of our culture and our livelihood," Paoa said in a statement. "The Rapa Nui community is immensely proud of this marine park, which will protect our waters for generations to come." When I walk around Oakland, I see the ocean. Not because I’m on a hill, or peering through cranes at the port, but because once you know where to look, the ocean is everywhere. When I watch clouds blow across the sky, I’m watching wind powered by ocean temperatures and currents. Stacks of folded jeans or the bags of beans at my corner market conjure up images of shipping containers stacked end to end on Panamax ships, slowly plowing through the high seas. The oxygen I’m sucking in on my run was once carried around the ocean in the grip of cold, cold water molecules. I first jumped into marine biology in high school and even as I drifted into other fields, I brought that sea view with me. It’s as if I were a radiologist and I couldn’t stop picturing the bones inside the kid sitting next to me on the train, or a web designer with View Source on all the time. The sea is the steel behind the building façade, the miniature watch gears beneath the face, the details you take for granted so that you can get on with your task list. Infrastructure — built or grown — succeeds when it moves so smoothly that it’s invisible, and by succeeding in that way, it helps you forget it exists. The ocean’s imperturbable surface gives the appearance of a miraculous, perpetual motion machine that needs no maintenance from us. The downside of invisibility is being ignored. The ocean does need maintenance. For millennia, we’ve expected it to feed us, take us from one place to another, and keep our weather running along smoothly while we dumped trash and carbon dioxide into it and spent our time with our cooler friend, the moon. While filming coral off the Solomon Islands, David Gruber, a National Geographic Emerging Explorer, encountered a "bright red-and-green spaceship." This underwater UFO turned out to be a hawksbill sea turtle, which is significant because it's the first time that biofluorescence has ever been seen in reptiles, according to Gruber. Gruber is now excited to learn more about this critically endangered species and how it is using biofluorescence. I mean, we just discovered glow-in-the-dark sea turtles in July. Almost half of the world’s population lives within 75 miles of the coast now, and rising sea levels are bringing the oceans closer to the other half. It’s time to get to know your neighbor. To do that, we need give the oceans a little more attention and raise our expectations. Twenty years ago we didn’t expect glass to respond to our touch or that we could track our packages from the warehouse to our door. Now we take these things for granted. Many of our ocean information systems are stuck in the 1980s, or even the 1780s. We hand enter millions of paper receipts so that six months later we know how many fish were caught. We call recreational fishermen on the phone and ask them what they caught last month. 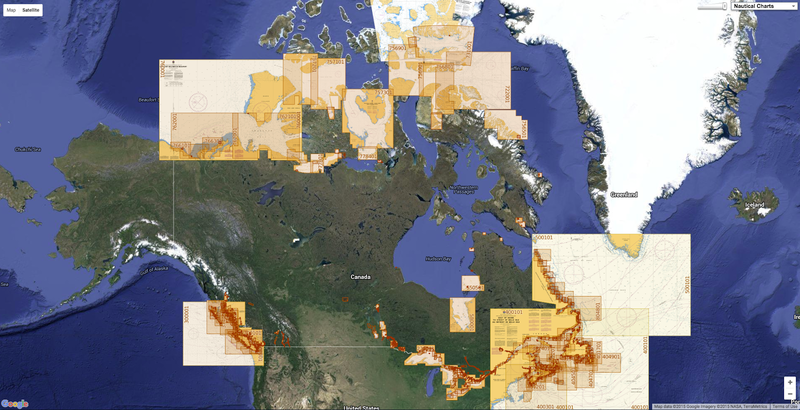 We may adopt high-tech tools on one end, like identifying pirate fishing ships with satellites, but the data still flow into outdated systems with limited public accessibility. It should be easier to see if countries are cheating on their fishing reports, what the pH of the ocean is, or how your shrimp were farmed. The lack of ocean transparency helps high seas criminals and unscrupulous dealers who want to pass off one fish as another, and it hurts the scientists, fishermen, and managers who are playing by the rules and planning for an ocean that can sustain us through the next millennium. You don’t have to make the sea your full time job to help open up the oceans (although if you want to, you’d be in good company and the benefits are pretty great). Whatever you’re doing now, chances are the oceans could use a little bit of your expertise. The oceans deserve good design and user interfaces. They need SQL and R and machine vision. asking data scientists to use their skills and big data for social good. They need data mining to reveal the dynamics at the heart of the ocean’s food system. They need citizen scientists, entering what they find on beach walks and explorations with their $900 underwater robots. KnowFish App : winners of the 2015 Fishackathon People's Choice Award! Right now, the winners of the U.S. State Department’s 2015 fishackathon are at Chile’s global ocean summit presenting their app to help stop illegal fishing. Which they built as a hobby project. If you’re wondering what to do with your life, you could do much worse than pivoting to ocean ideas and spending time at fisherpoet festivals. I imagine a world where the ocean is visible to everyone. Where your smartwatch can tell you the tides and the surf and what you took out of the sea that day — oxygen, fish tacos, imported printer paper. Where the back end of your search engine is also compiling and training ocean algorithms. Where your recaptcha is a sea creature you have to name. Where you can see your connection to the common sea, and, if you choose, dive in. It’s time to open up the ocean’s data for the ocean’s sake and for ours. after sailing into the path of Hurricane Joaquin in the Bahamas. This animation of images captured from September 29 to October 1 from NOAA's GOES-East satellite shows Hurricane Joaquin become a major hurricane in the Bahamas. Rescuers have been searching for the container ship, which was in the path of Hurricane Joaquin, since the crew last made contact Thursday morning, saying El Faro was listing but the situation was manageable. The vessel was carrying 33 people—28 Americans and five Poles—and while searchers have found debris they believe came from the ship, they haven’t found the vessel itself or any survivors. One body has been found. How rare? An analysis of vessels greater than 100 gross tons by the insurance giant Allianz found that in the past 10 years, from 2005 to 2014, only six ships were reported as “missing/overdue”—or, in other words, lost. Three were in 2005. There were none reported in 2011, 2012, 2013, or 2014. This isn’t to say that ships don’t sink. In 2014, 49 ships “foundered,” which includes sinking or submerging—the largest category of ship losses. But often those are cases where ships sink with some warning, and most or all of the crew can be rescued. The second-largest category is ships that ran aground. It’s not an illusion that shipping seems safer these days. The number of total losses has decreased over the last decade. And no ship lost in 2014 in any method—foundered, wrecked, or otherwise—was as large as El Faro, which was built in 1975 and was 790 feet long with a gross tonnage of 31,515. The biggest cargo ship lost last year was 12,630 gross tons, and while eight of 20 crew members died, that was in a collision—not a disappearance. The Caribbean, where El Faro is missing, also sees comparatively few losses versus the South China Sea, the Mediterranean, or the British Isles. It’s far too early to know what went wrong with El Faro. It’s not uncommon for cargo ships to lose containers in heavy seas, but sinking is. Allianz lists several risk factors for ships: overreliance on electronic navigation; understaffed or undertrained crews; and structural weakness. Beyond that, large container ships are generally built to withstand major storms. The nature of the business is that captains still have great discretion in how they choose to handle a storm, or whether to try to avoid it. El Faro had a built-in advantage in that it was carrying cargo; an empty ship is harder to handle in rolling waves, Popular Mechanics noted in 2012. Port has its own risks—a ship can be battered against a pier or run aground. That encourages some captains to stay at sea. Before losing contact, El Faro radioed that it was aware of the weather and was prepared. If in a storm, however, the captain has to concentrate on two things, he wrote: keep plenty of room away from shore, reefs, and other obstacles; and keep the boat pointing into the waves. Steering-way is necessary to keep the bow into the wind and waves. If the main engine fails and the ship falls off broadside to the waves, it will be in a perilous situation. The ship must also have adequate sea room to leeward, both as insurance in case she loses steering-way and to counter the effects of wind, waves, and current. If the master has any doubts about his searoom, he must make way offshore while it is still possible. Failing all that, ships are typically equipped with enclosed lifeboats that can launch in a storm and will withstand bad conditions. In pitching seas, it can be impossible to launch a traditional, uncovered lifeboat. A boat from the famous Edmund Fitzgerald, found shorn apart after the sinking, shows their inadequacy. But a crew needs to have some warning in order to get into modern lifeboats, too. So far, searchers have found one of the ship’s two boats. Oil companies have a proud history of digging holes in inaccessible places and producing gushers of money. 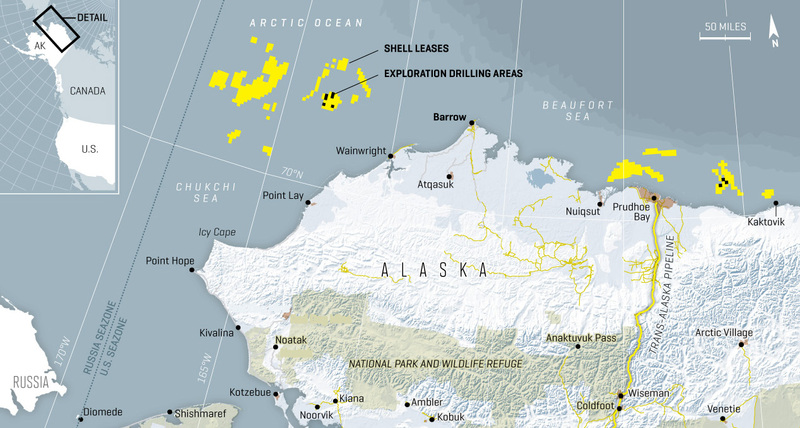 But in the Chukchi Sea, in the Alaskan Arctic, Shell has poured $7 billion into a single 6,800-foot exploratory well, making it possibly the most expensive hole yet drilled, only to admit this week that it had not found enough oil and gas to make further exploration worthwhile. That was a big climbdown for a company that had spent seven years since acquiring the Chukchi licenses in 2008 in a highly public, drawn-out battle to drill in the Arctic. The decision boiled down to costs, financial and reputational. Most big oil firms face similar pressures. Some will take a lesson from Shell and put their Arctic plans on hold, though Eni, a big Italian oil firm, is vowing to press ahead with its efforts to drill in the Norwegian Arctic. As the oil price has fallen by more than half over the past year, the economics of drilling in deep and treacherous waters have worsened considerably. Though Shell had sought to play down the dangers of its Chukchi conquest, observers long ago reckoned it had bitten off more than it could chew. It suffered a slew of mishaps in 2012, culminating on December 31st of that year in a drilling rig breaking loose from its tow lines and running aground. New marine tracking data shows MSV Fennica, a Shell-contracted icebreaker may have crossed through shallow waters that offered little clearance between the vessel’s bottom and the ocean floor before a 3-foot hole was discovered in its hull. After that episode, Ben van Beurden, installed as Shell’s chief executive in 2014, could have halted the ill-fated project. But after a “personal journey”, he decided to go ahead. 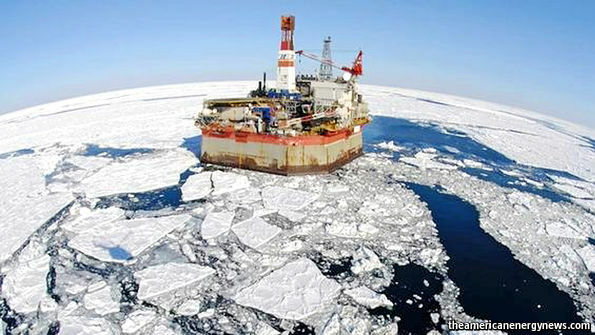 Since then, Shell has portrayed Arctic drilling as somewhat of a mission, saying the prospective hydrocarbon reserves—ten times the total produced so far in the North Sea—are needed to provide energy for a global population expected to rise from 7 billion to 9 billion by 2050. Analysts say it was more about shoring up Shell’s reserve base, at a time when oil and gas deposits are increasingly held either by national oil companies or by nimble American “frackers”. Last year Shell replaced only 26% of the 1.2 billion barrels of oil equivalent (boe) that it produced. It has told investors that the Arctic was the best long-term bet for filling that gap, expecting it to provide at least 500m boe after 15 years. Now it will need new alternatives. If its £47 billion ($70 billion) takeover of BG Group, a British firm, goes ahead, that is one: it will increase Shell’s oil and gas reserves by a quarter. 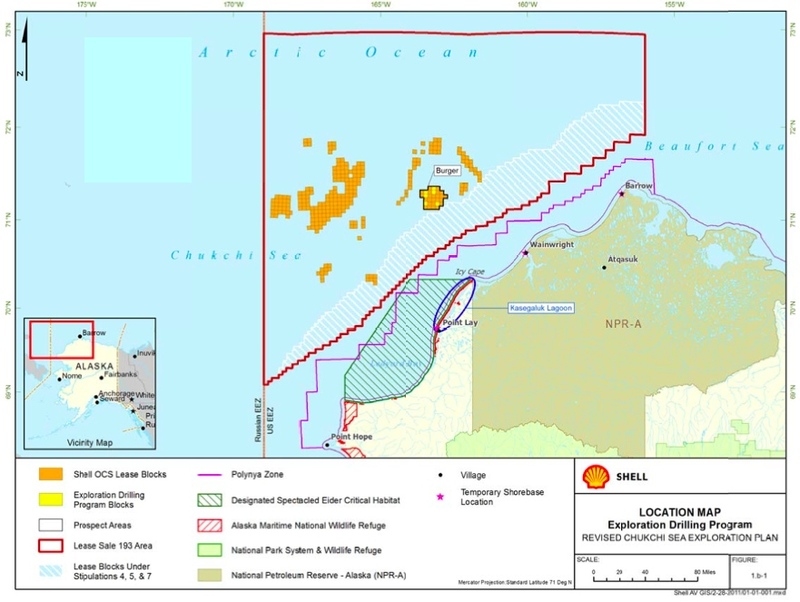 Reputation was another factor in Shell’s retreat. A company that was among the first oil majors to acknowledge the risk of human-induced global warming in the 1990s—and one that has joined with other European oil firms to advocate carbon pricing ahead of the climate-change talks in Paris later this year—was embarrassed to be pilloried for its Arctic drilling by environmental groups and politicians. Just as serious were the concerns of Shell’s own shareholders. Many of these, including some big pension funds, questioned its climate-change credentials at its annual meeting in May. The stockmarket is taking the news in its stride. But internally, the abandonment of the Arctic project will lead to soul-searching. Shell is staffed more by boffins than roughnecks, who pride themselves on their ability to overcome great challenges with technology. It has been in this predicament before. In the early 1990s it gave up an earlier attempt to explore in the Chukchi Sea after prices tumbled. Its decision to do so again, and big cutbacks by rival oil firms, may help crude prices eventually to recover. But if one day Arctic oil and gas look promising once more, don’t expect much enthusiasm from Shell. AST is a very special topic: Sails metrics and computer assisted sails Trim. Jeanneau’s exclusive ASSISTED SAIL TRIM technology delivers peace of mind and ease of handling This Jeanneau innovation, co-developed in partnership with Harken, allows to trim the sails and remotely operate the winches directly from a screen at the helm station. Designed to ensure comfortable and easy sailing, the ASSISTED SAIL TRIM system is ideal for short-handed cruising. 100% user-friendly and intuitive, it brings numerous features to cruising in the same way as the autopilot does. 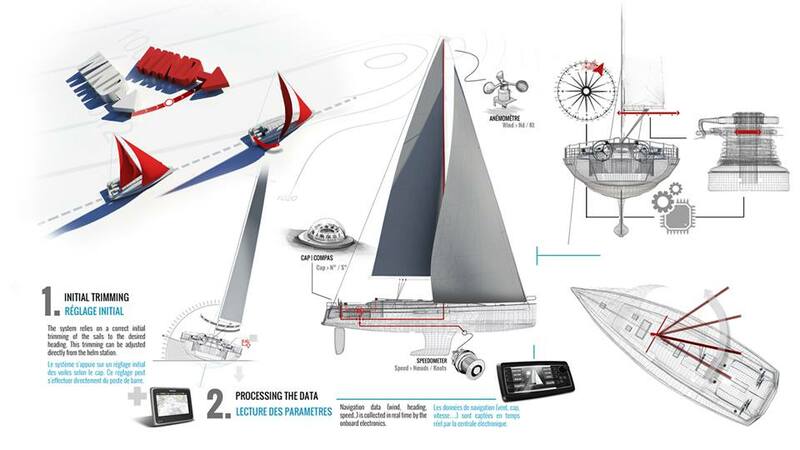 Jeanneau and Harken are glad to announce the launch of their exclusive innovation making sailing easier. Result of a close collaboration between Jeanneau, leading sailboat producer, and Harken, specialized manufacturer and distributor of innovative sailboat hardware and accessories, the AST “Assisted Sail Trim” reinvents cruising and shorthanded sailing. The system, consisting of three OEM packages, offers sensor-guided, push-button sail control. All functions, as well as push-button control over each winch, are operated from a cockpit display. Harken Rewind™ winches or Captive Reel winches allow the system to both trim and ease without manual intervention. All packages feature full redundancy and manual backup in the event of power loss. Jeanneau will debut the Auto Tacking and Auto Trim packages on its Sun Odyssey range under the name Assisted Sail Trim (AST). The AST will be exclusive to Jeanneau Sun Odyssey during the 2015 season. “It’s been a challenge to keep this project secret through years of development and on-the-water testing, but this finely-tuned system was definitely worth the wait,” says Davide Burrini, Harken International OEM Sales Manager. while Ben Thouard was shooting stills underwater.